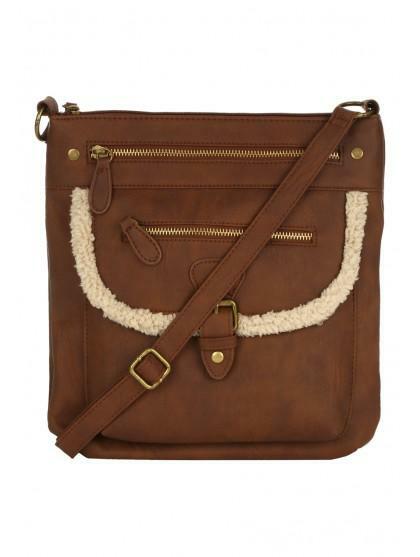 This is a great casual bag for the weekend. 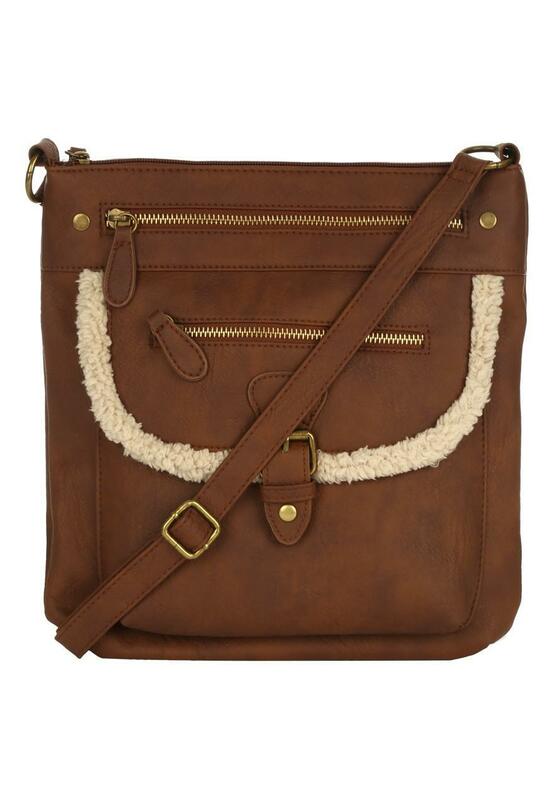 It features a zip top pocket, and additional pocket at the front and shearing trim around the bag. Just enough space to carry your essentials.